As we know, the golf industry is full of hot air. Anytime a new course opens it is invariably touted somewhere for its beauty or its quality, or as the best of its type in the region. The risk for media is golfers becoming immune to platitudes, to the point where worthwhile courses struggle for attention. At the risk of complete contradiction, we start this review with what we feel is a very simple statement of fact. 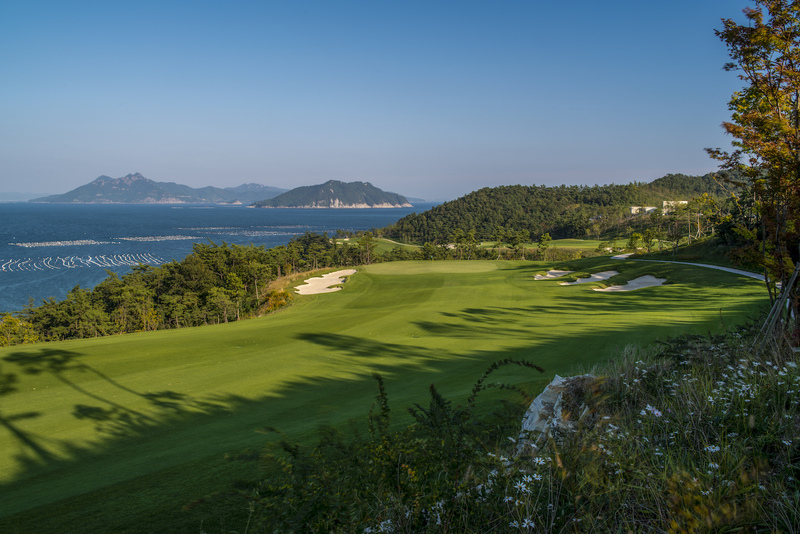 The South Cape Owners Club, designed by Kyle Phillips, is the most beautiful golf resort in Asia and the best golf course in Korea. 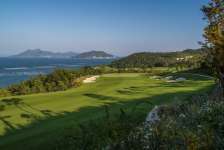 The South Cape project was the brainchild of rag-trade entrepreneur and golfing tragic Jae Bong Chung, who found his serene slice of paradise along a craggy peninsula on one of the many small islands to the south of Sacheon. The site was steep and the ridges abrupt, but on either side of the landforms, and in fact no matter where you went on the property, the views were remarkable. Chung knew the site had potential. Without any experience at all in golf development he engaged Phillips to masterplan the project and devote whatever resources needed to build him the best course possible. For Phillips the pressure was immense, but so too was the excitement. Like his more famous Kingsbarns course, South Cape has water views from virtually every hole, the chief difference being the orientation of those outlooks. Golfers head to all points of the compass during the round here and look east, west, north and south to enjoy their views. The routing incorporates a staggering number of natural coves and bays, with holes set down by the shoreline in some places and up along a series of elevated bluffs in others. 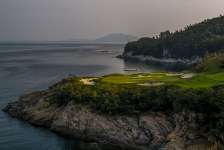 A number of longer holes bend around beaches and bays while several tiptoe along narrowing plateaus and cross canyons and inlets. The par threes are even more exciting. By the end of the round the golfer is almost at sensory overload. By far the greatest compliment you can pay Phillips at South Cape, is the measurable quality of the individual golf holes. After a somewhat unremarkable start, the first eye-catcher is the par five 5th, where golfers who drive well are given the option of playing boldly across a 100-foot cliff to a green set near the edge of an elevated cape. 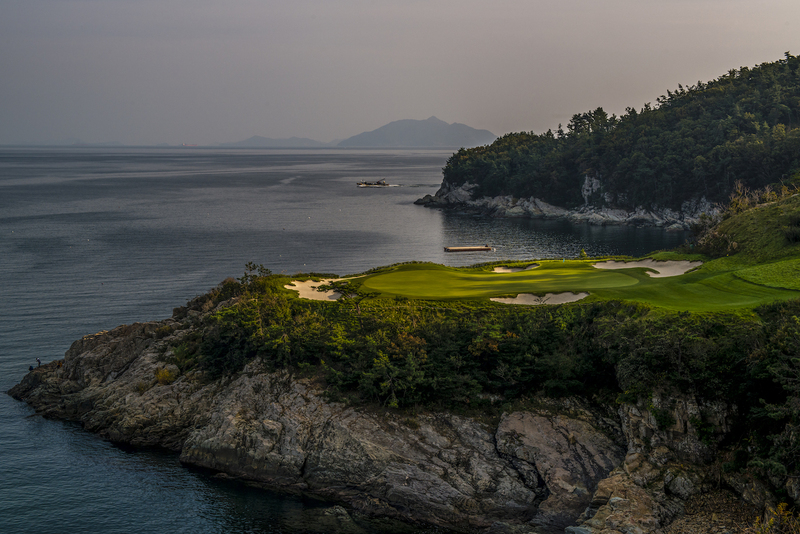 Strategic bunkering, fishing boat views and remnant granite formations complete a striking visual picture. 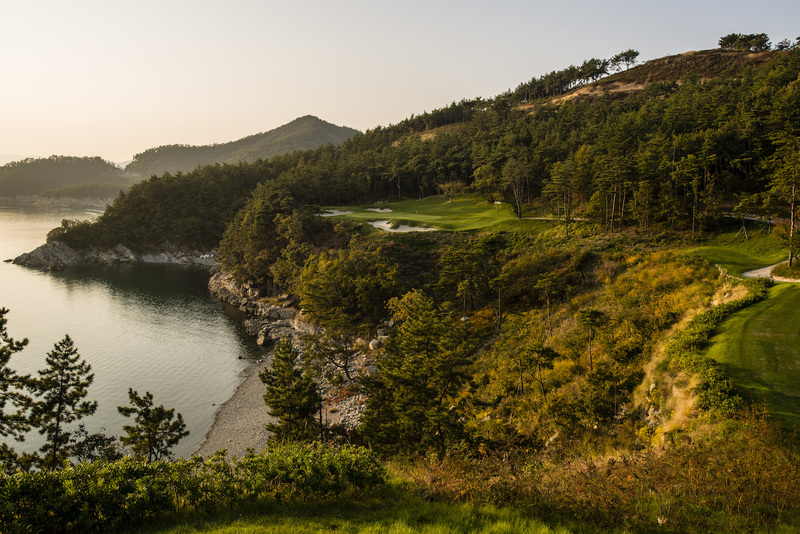 The next is a strong par three that also dives off a cliff, this time across a tranquil bay toward the base of a nearby hill. As good as some of the golf on the front nine gets, the back at South Cape is the clear highlight. Not only are the views more abundant, the interaction between the peninsulas of land and the coastal inlets is a lot more intimate. Plus the stretch from 11 to 14 is truly spectacular and features some of Korea’s best golf course design. Fairway ledges on each of the 11th, 12th and 13th get progressively nearer the sea, while the drop-shot 14th is set so low its peninsula green appears to almost float atop the water. Each hole in this stretch is outstanding and each green site shaped to present the approaching golfer with interesting options. 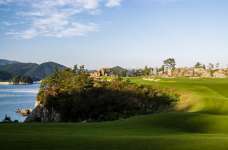 The final showstopper is the par three 16th, played downhill from atop one cliff to a shallow finger of land jutting into the sea. The shot here is probably beyond the reach of most ordinary Koreans, but for accomplished western visitors is quite the thrill. As is the twisting, turning par five 18th, which ends beneath what might be the most distinctive golf hotel in Asia. Like all great courses, the South Cape Owners Club is difficult to pigeonhole or directly compare. It does have a Bay of Islands (New Zealand) type feel, except that the golf is more closely connected to the Sea and its offshore islands than somewhere like Kauri Cliffs. Plus you actually get to hit across water in a couple of places. The views are also more diverse, given regular directional shifts and elevation changes. On top of the golf are some amazing amenities, including luxuriously appointed guestrooms and a continuously curving white concrete clubhouse that is strangely captivating. Potentially even more memorable are a pair of glass panel halfway houses, found mid-nines protruding from cliff edges and with uninterrupted 180-degree sea views. 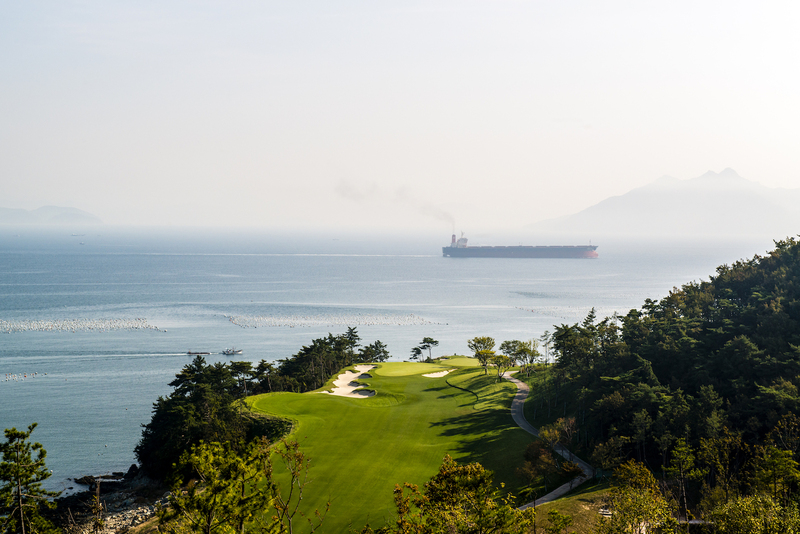 Although Korea is a terrific country to visit, the golf in general disappoints. This is partly due to the fact that developers seem more inclined to seek world-class expertise and assistance for their clubhouses than their golf course. South Cape Owners Club is a rare exception, and if this book celebrates anything, it’s great coastal golf and breathtaking scenery. This place has both in spades.